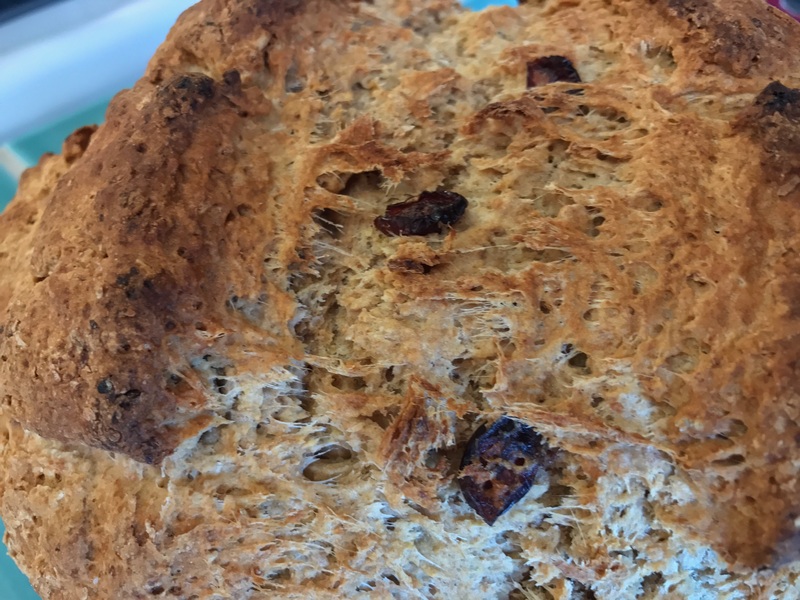 If you have breakfast while traveling in Ireland you are bound to come across brown soda bread. Soda bread is super easy to make and a fantastic comfort food. I'm feeling slightly under the weather today and fading fast. I wanted to make something warm, filling, and good to just warm up all day and easy eat as my stomach feels wooooooozy. Seems a perfect day for Irish brown soda bread. This bread is so simple, I almost always have everything I need on hand to make it. It will be easy to get a loaf in the oven, and write this post before I pass out. I start with a recipe I've found credited to various Cooks Illustrated kitchens as my base. As the spot where I first had this brilliant bread added pumpkin seeds and currants, I throw some nuts and dried fruit in the loaf. I usually try to find stuff that works well with whatever cheese I have on hand. Today there I've got aged cheddar to pair with. Put all the dry ingredients in a big mixing bowl. Melt the butter. Add the melted butter and buttermilk to the dry ingredients. Mix well. Then knead til you have a big, slightly sticky dough ball. Extremely lightly grease your cast iron skillet. 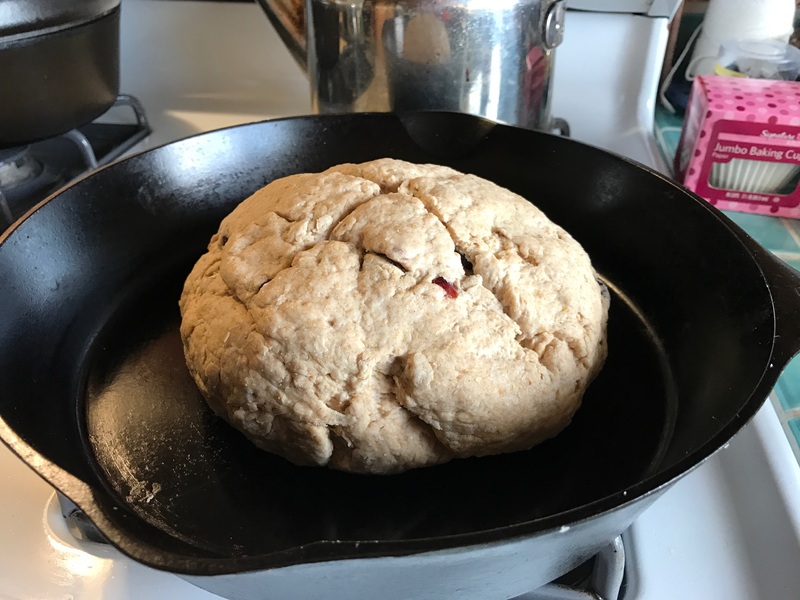 Place dough ball in center of skilliet. Cut a cross into the top of the loaf to allow devils to escape without tearing it. Sigh. Place the skillet in the pre-heated oven on a middle-ish rack. Bake 45 minutes. Remember a pot holder as you remove skillet from oven, or you will learn regret. Cool on a rack. I suggest eating warm and toasting left overs. The bread keeps for several days and re-heats well.